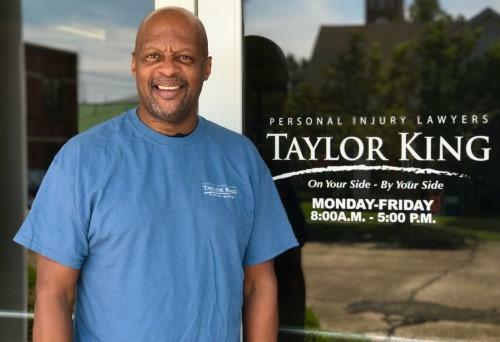 If you have called Taylor King Law, chances are you have spoken with John. He has been with the firm for a little over 6 years. First hired as an investigator, he then became a case manager and now works as an intake specialist. John spends a lot of time with his family. He has two children, one grandchild, and three siblings. He enjoys exercising and working out. When he isn’t at work you can always find him at church, Brookshire’s, or Walmart.